These 10 autumnal desserts will fill your kitchen—and your stomach—with the warmth of the season. It’s officially fall everyone, and in case you hadn’t noticed that means the start of some of our favorite things: crisp temperatures, turning leaves, shorter days, and football, to name a few. Also: really juicy pears and sweet, crunchy apples. 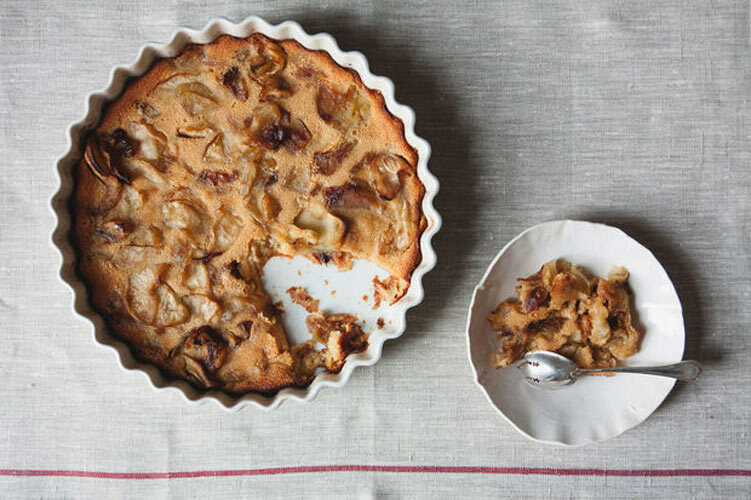 Whether you’re a fan of pies or crisps, cakes or tarts, here are 10 of our favorite apple and pear desserts that will fill your kitchen and stomach with the warmth of the season. 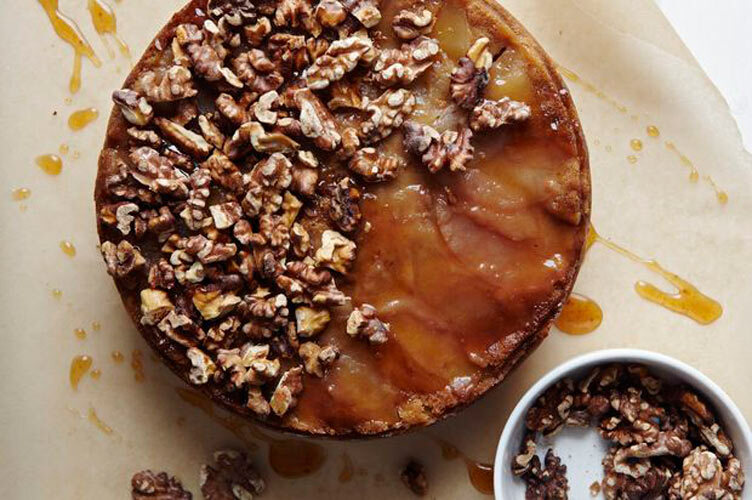 Brown Sugar Upside Down Cake with Apple Cider Caramel and Spiced Walnuts. 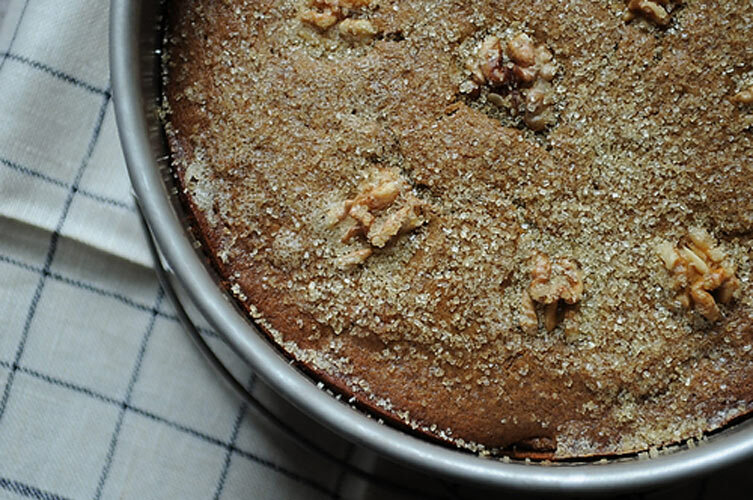 Although the apple cake would be special on it’s own, apple cider caramel and walnuts add a spicy, crunchy twist. For ease when it comes to turning it upside down, make sure to use a silicone cake pan. Get the recipe. Yogurt Cake with Pear and Dark Chocolate. This take on yogurt cake makes a great addition to any fall baked goods repertoire. 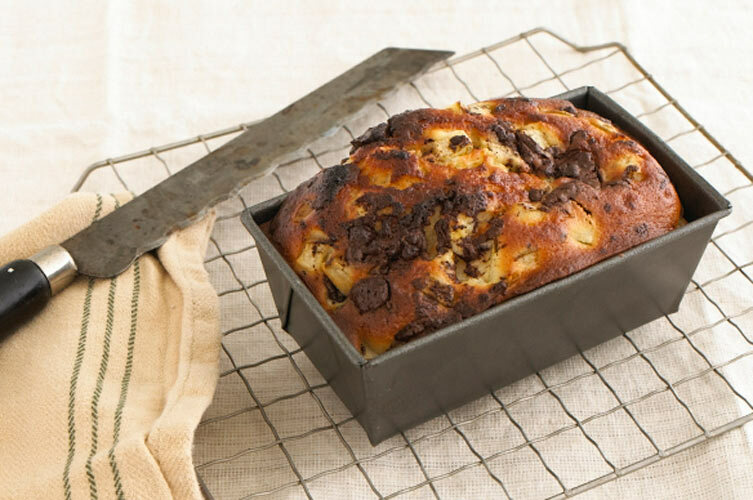 It has a moist and tender crumb that contrasts with the studs of slightly firm pear and dark chocolate. Get the recipe. 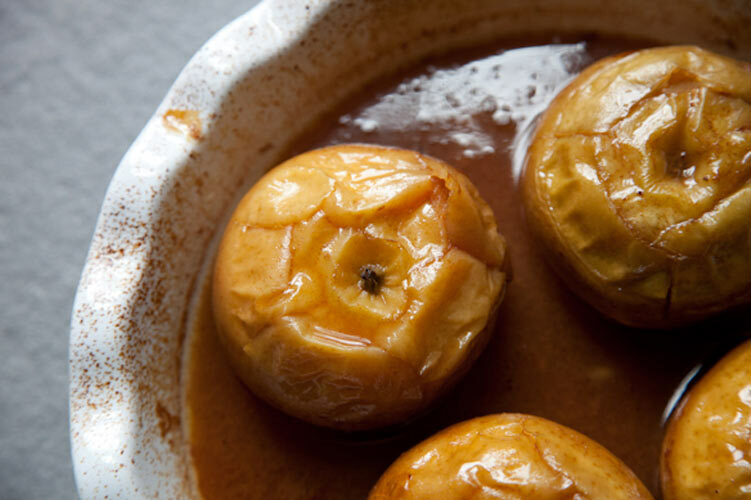 Apples Baked in Cider. 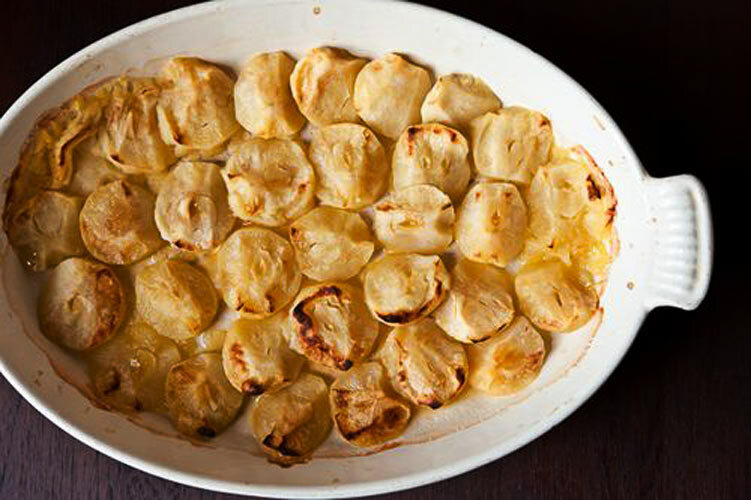 It goes without saying that these apples baked in cider are the definition of a comfort food. They are also incredibly simple to make—once you reduce some cider and core a few apples, the rest of the process is virtually hands off. Get the recipe. Ginger Apple Torte. Layers of spiced batter sandwich tender caramelized apples, and on top, there’s a coating of turbinado sugar for a final touch of sweetness. It’s fall on a plate. Get the recipe. 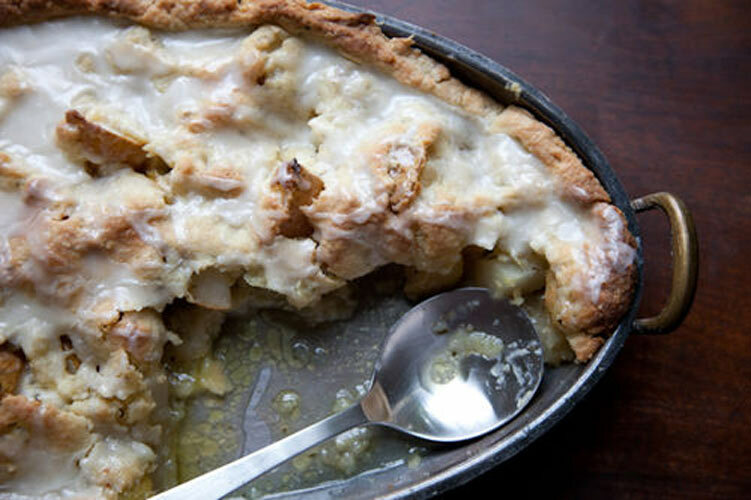 Brown Butter and Cheddar Apple Pie. 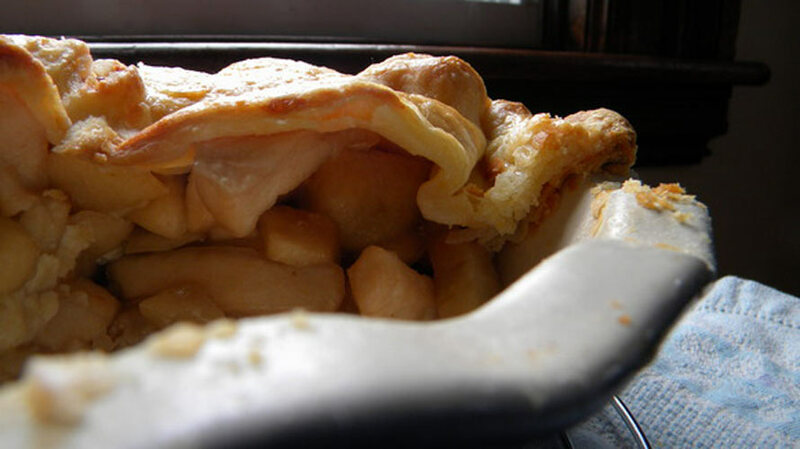 This pie is an homage to apples in their purest form, no cinnamon or nutmeg in sight. The crust is flaky and tender, and muted bursts of cheddar break through towards the end of each bite. Get the recipe. Pear Vanilla Sorbet. 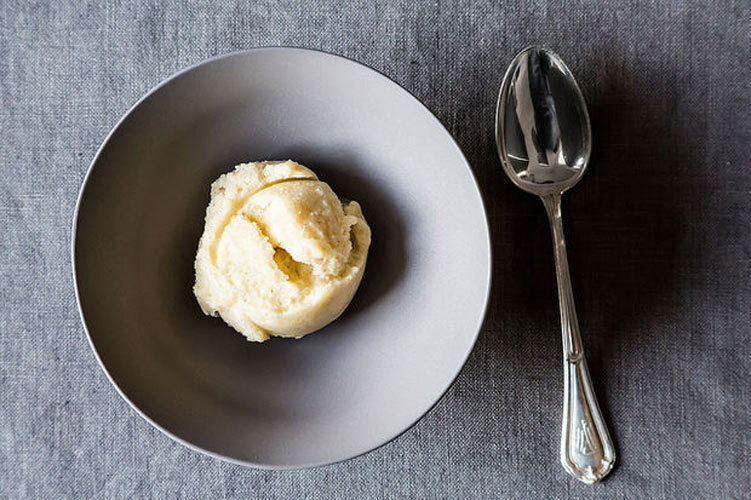 Although the closing of summer usually means the end of frozen treats, this sorbet can to be enjoyed well into october thanks to the addition of ginger and seasonal Bartlett pears. With just five ingredients, five minutes on the stove, and a few hours in the freezer, it’s dead simple to make. Get the recipe. Pear Rosemary Danish. This non-traditional combination of ripe pears with savory rosemary will make you refuse store bought danishes from the first bite forward. A small amount of sugar and lemon add just enough sweetness and zing to the filling, but icing (an easy powdered sugar glaze) and a tender pastry crust place this firmly in dessert-for-breakfast territory. Get the recipe. Ginger Poached Pears with Honeyed Vanilla Custard. We know and love the apple ginger combination, but who knew that ginger and pears complement each other so well? 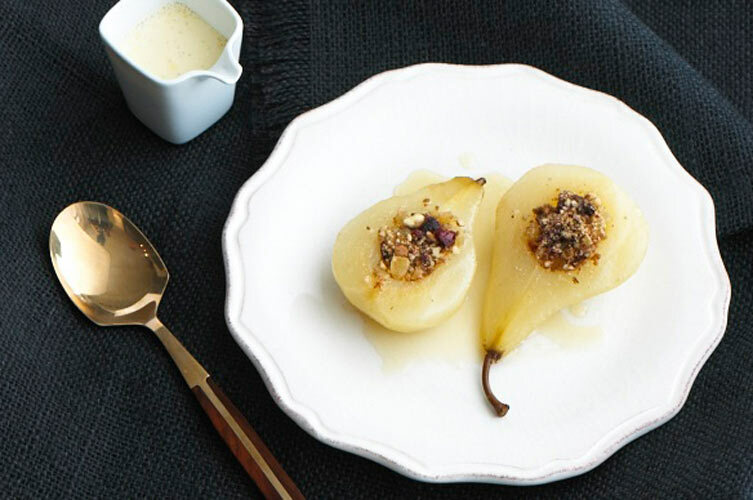 Top the pears off with a silky creme anglaise and a gingersnap crumble for extra ginger oomph. Get the recipe. Brown Butter Candied Apple Clafoutis. This clafoutis may seem confusing at first because of it’s altered ingredients—it’s gluten free! However, In replacing the flour with almond meal and milk with coconut milk, the clafoutis actually becomes less custard-y and more frangipane-like, something both gluten and gluten-free eaters alike can enjoy. Get the recipe. Judy Rodgers’ Roasted Applesauce and Savory Apple Charlot. No cinnamon, no cloves—this sauce is straight up apple, mainlined to your belly. It is smart and light, balancing the apples only as needed with small amounts of sugar, salt, and apple cider vinegar. We like how it remains a bit chunky so you never feel like you’re eating baby food. Get the recipe.